The famous 'red bottoms' from Emax have now been miniaturised for your mini quad. The RS1306 is a smaller motor than its bigger brother the RS2205, but it still incorporates the cooling design, high quality bearings and strong N52 magnets. 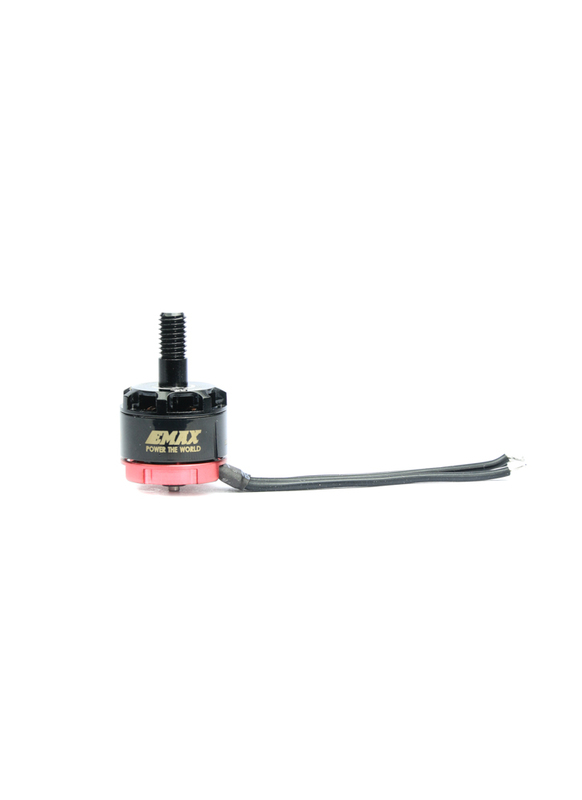 Emax Race Spec motors will deliver reliable and outstanding performance for your racing quad. They are designed for 3-inch props for up to 4S batteries. These motors are supplied with lock nuts and mounting screws. 12.5mm extended prop shaft allows virtually any prop with 5mm hole. RS1306-3300Kv with 3040 3 blade propeller and 3S battery. RS1306-3300Kv with 3040 3 blade propeller and 4S battery.